With tracks entitled Repeat Until Muscle Failure, Slam Your Head Against the Wall (Carefully) and Make It Look Like An Accident, these Swiss sonic explorers were always going to spike my interest. Even more so when I pressed ‘Play’ as they boldly headed off to the outer reaches where only the most fearless would dare to tread. The music is high energy and thumping, sometimes the vocals become more of a feature and they pull off some great three-part harmonies, such as on the short burst of exuberance that is Repeat Until Muscle Failure. It clearly doesn’t take very long. It’s a lovely little song stoked up on high octane weirdness that comes screeching to a halt immediately prior to the magnificently bass-heavy Slam Your Head Against the Wall (Carefully), the ‘carefully’ being a cogent afterthought and clearly the result of experience. It’s a head-out-of-the-window-at-70 blast of cheek-billowing fresh air, and if King Crimson were looking for a support act it would be an easy step to suggest these guys; the music sounds nothing like KC but the seat of the pants experimentation and passion for ‘different’ mark them out as being cut from similarly patterned cloth. From the PR blurb: “…basses tear black holes into space, drums dart like unstoppable comets through zero gravity and guitars paint stripes of fire on the horizon”. I really hope that this happens in some distant outpost of the stellar, er, thingy every time the band play. There’s an earthy rawness and bravado to it all that’s like a shot of adrenalin, “…a complex, colourful, surprising, hard and melodic landscape in a cosmos in which improvised free-fall and structured form co-exist peacefully”. Yes please! Idaho eases things down a little, there’s a majestic sweep as we take to the open road through a rugged landscape of forests and mountains. The twists and turns make for interesting progress, fraught with potential difficulties, such as the endangered Canada Lynx that we inadvertently run over, leading to a brief and strident appeal to Make It Look Like An Accident before we drive on. Further into the wilds and something strange is lurking. It’s a close encounter that’s High on the Hynek Scale with a mysterious being who takes us off through the 10-minute wormhole of Ocean/Clouds/Prism, a driving monster where foreboding guitars soar over thundering rhythms. It develops into a free-form wrestling match in a cosmic meat grinder from which we are spat out into some distant dimension, emerging to find ourselves Dead Again, but it doesn’t seem that bad if I’m honest. Well that blew the cobwebs away! As debut albums go, this is a belter. 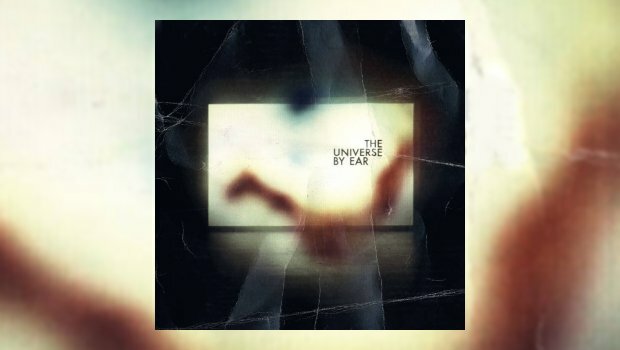 The Universe By Ear offer a refreshing blast of obtuse off-the-wallness, spinning through the galaxy whilst tethered to Earth by a chain made of hard-edged Blues and power trio rawness. They also certainly know how to deliver a cutting melody line within their orbit of choice. I bet these guys are a blast live. Very highly recommended for adventurists who enjoy a bit of rough and tumble.